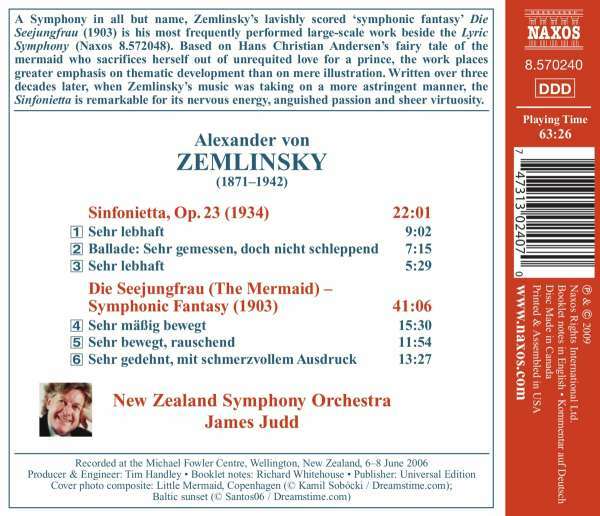 Der Artikel Alexander von Zemlinsky (1871-1942): Die Seejungfrau (Fantasie nach Andersen) wurde in den Warenkorb gelegt. 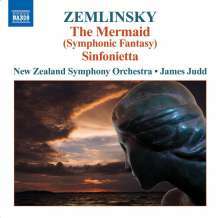 A Symphony in all but name, Zemlinsky's lavishly scored 'symphonic fantasy' Die Seejungfrau (1903) is his most frequently performed large-scale work beside the Lyric Symphony (Naxos 8.572048). Based on Hans Christian Andersen's fairy tale of the mermaid who sacrifices herself out of unrequited love for a prince, the work places greater emphasis on thematic development than on mere illustration. Written over three decades later, when Zemlinsky's music was taking on a more astringent manner, the Sinfonietta is remarkable for its nervous energy, anguished passion and sheer virtuosity. Noch schlimmer dahin gehudelt, als die schon enttäuschende Aufnahme aus Kopenhagen!